Fornasetti was a master craftsman who used ornamental and pictorial motifs to decorate silk scarves, furniture, plates, vessels, and similar objects. His work was clever, surreal, and whimsical. In 1959, he received the Neiman-Marcus Award for distinguished service in the field of fashion. When he returned to Milan from Africa, one of his first projects was the painting of silk scarves, which caught the attention of Italian architect Gio Ponti. It was the beginning of a productive partnership as Fornasetti and Ponti collaborated on numerous projects in the following years. Beginning in the early 1950s, they created a series of desks and bureaus that combined Ponti’s angular forms with Fornasetti’s decorative motifs—arrangements of flowers or architectural imagery. The two worked together on an interior decoration project at the San Remo Casino, but their greatest collaboration has been lost: the lounges and restaurants of the luxury ocean liner Andrea Doria, which sank in 1956. His furnishings occupy a unique niche in the decorative arts: they are surreal and impactful and act as functional sculpture. He was specifically known for a series of round tables, which he decorated with trompe-l’oeil paintings of musical instruments and depictions of the sun. 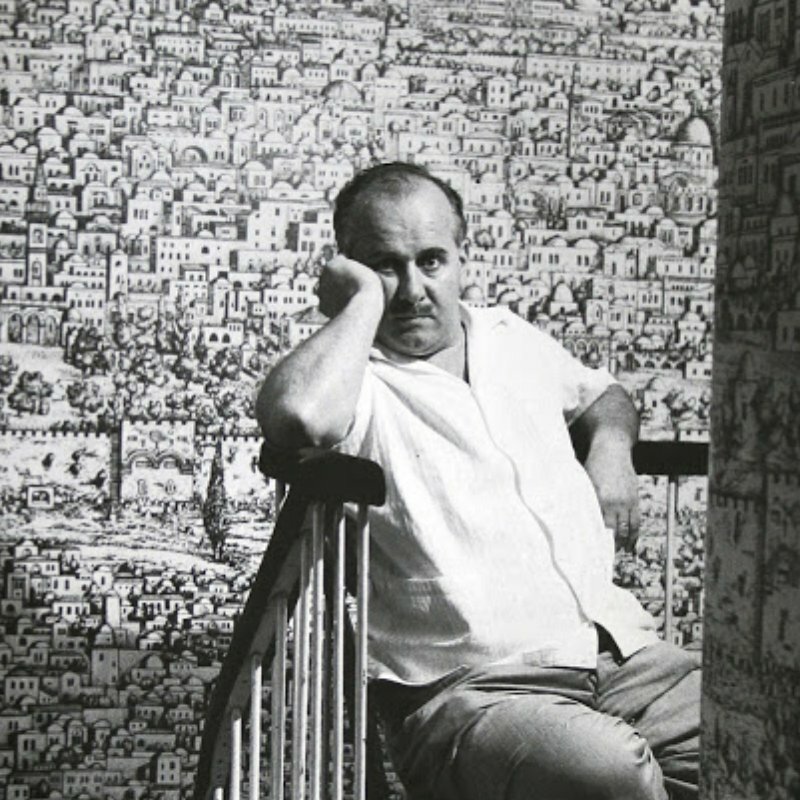 By the 1980s, Fornasetti’s work was tremendously popular with Postmodern designers. Today, we see his style reflected in such accessories as scarves, ties, lamps, furniture, plates, and tables. 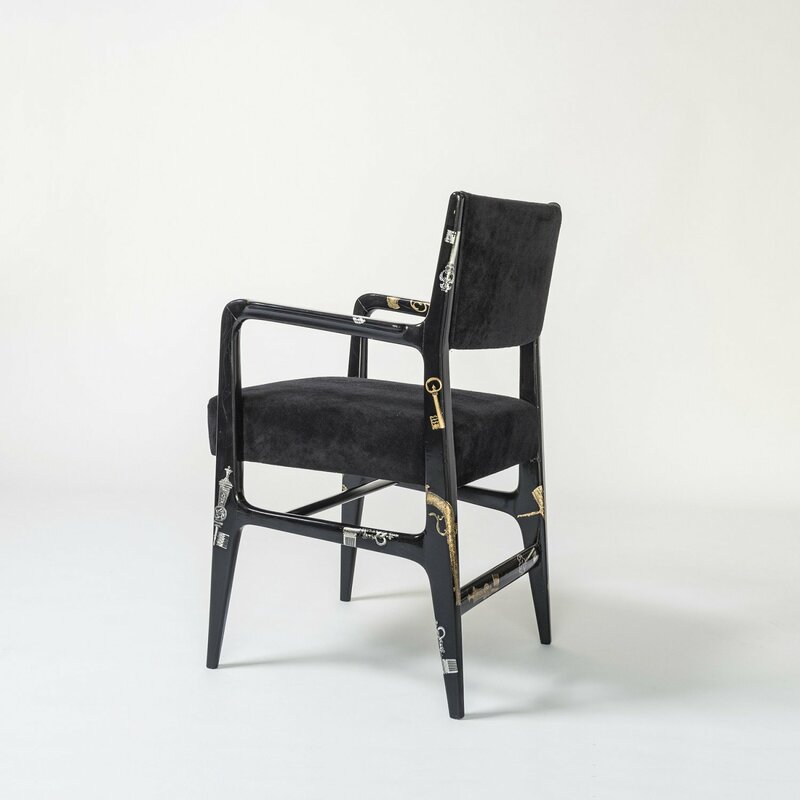 His son, Barnaba Fornasetti, took the reins of the family business after Piero’s death in 1988 and continues to bring the Fornasetti look into the future.